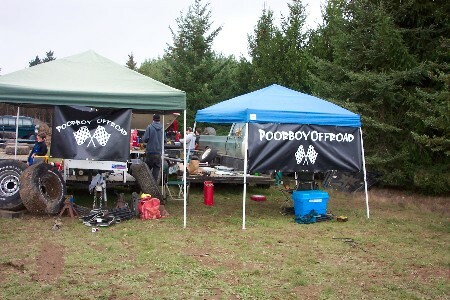 Kevin K tipped us off to the Poorboy Offroad Club on our Facebook FanPage as another off roading club of interest. We love when our reader’s tip us off to different off roading clubs because then we know they are active and have tons to offer our readers. So thank you Kevin for bringing the Poorboy Offroad Club to our attention so we could share it with everyone. I wanted to get a Poorboy Offroad Club logo picture for this blog, but was unable to do so but got this picture above from their site. If you visit their site and check out their pictures of events you will see some pretty awesome shots, tons of dedication, and tons of fun being had. In my search for information about the Poorboy Off Road Club I found a little on their introduction home page of their website and then dwelled deeper into their forums. (Nice forum btw) and this is what I came up with for everyone. If anyone reading belongs to this club and would like to leave more information regarding it in comments, that would be great! That’s pretty close to my neck of the woods. I’ll have to check out the club and definitely the 7-up trail at Browns Camp in the Tillamook State Forest. I just got my Jeep and I’m looking to join a club where I can rely on more experienced Jeepers to get me going. This sounds like a club I could get ito. I’m sure the poor is not literal, but in my case it would be pretty close. I live near the Washing/Oregon border. I wonder where exactly in the state the club is located. Guess I’ll have to do some investigating on my own. I’m impressed that there’s no fee to join the forums. I’m looking forward to taking advantage of that. I’ve heard of Browns Camp in the Tillamook State Forest. I believe it’s in Oregon. It’s beautiful country around that area and I’d love the chance to try the trails too. That’s what I am, a poor boy from the country. I like to eat poor boy sandwiches too. I’m going to have to find out where this club is located. It could be a poor boy sweep for me!